If you’re feeling anxious or hyped up, hypnotherapy can help you deal with these emotions positively. It is an easy method and has been proven to be even more effective than psychotherapy. Continue reading to find out the steps to take when using hypnotherapy to alleviate your anxiety. Before you can allow hypnotherapy to work, you must understand what is causing your anxiety. Often, it has to do with your ego, which you can read more about in the following paragraph. It can also have to do with certain situations, such as a person who is frightened of walking on the streets after being mugged. Or maybe you just work too much, and never get any downtime. Even if your ego is not the direct cause of your anxiety, it is most certainly indirectly contributing. An ego is your opinion of yourself. When this becomes damaged because of failure or things that others say, it can cause a slew of problems. Anxiety is one of these problems. Learning to cope with your ego can be difficult, but the good news is that hypnotherapy can assist with it. 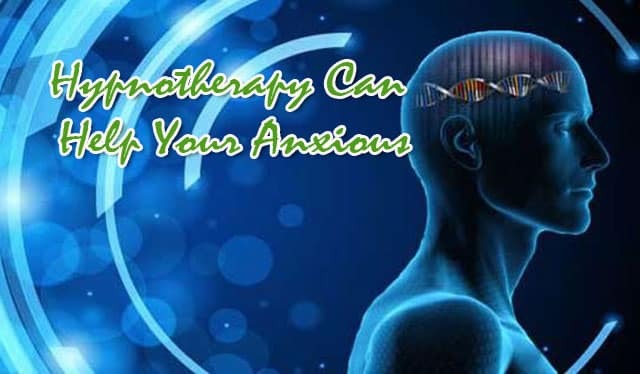 The hypnotherapy is a positive form of coping with anxiety and stressors. It can alter your thinking from negative to positive and has a very high success rate at “curing” these mental ailments. If ego is getting in your way, a professional hypnotherapist can also assist in changing the way you view yourself – whether you have an overly negative or overly positive view of self. Hypnotherapy is ongoing. Even after you leave each session, you will continue reaping the effects. Your hypnotherapist will end a session with a few positive phrases that are attached to triggers you will encounter in your everyday life. For example, you may be told that when you look at the water you will remember how powerful your desire to change is. Thus, you will think of this every time you see water. Hypnotherapy is a powerful tool that has been used for centuries to help people deal with all types of issues – anxiety included. It is so powerful that it is often used to overcome anxiety surrounding childbirth, so that expecting mothers can have a more positive experience. It can help you, too, with your issues.